Connecting field crews with simple-to-use apps speeds the overall understanding of storm damage. The implications of working offline are hard to fathom in today’s connected age, which makes it important to prepare for that scenario. Detailed recording of damage communicates loss to those impacted, prioritizes recovery work, and ensures fair reimbursement. In the hours leading up to the landfall of Hurricane Irma on the Florida Keys on Sunday, Sept. 10, 2017, a few technologists in the City of Key West’s Emergency Operations Center (EOC) began to prepare mobile data collection tools on their smart phones to track the toll of the storm after it passed. 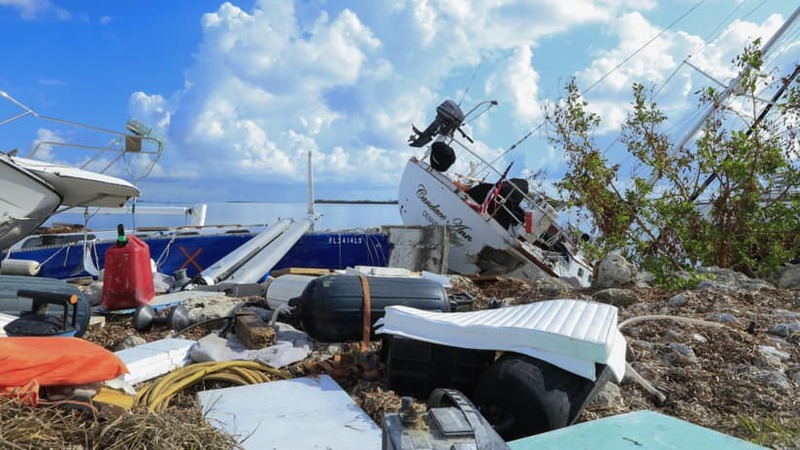 It had been more than 12 years since a storm struck the Florida Keys, although many in the EOC had a strong memory of the impactful events of the 2005 storm season. In that year, there were four federal disaster declarations for the area, with Hurricane Wilma doing the bulk of the damage. All waited and wondered what Irma would bring. With a forecast of a five-foot storm surge, and winds of 130-miles-per-hour, Wilma-scale damages were expected. More than 5,000 of the city’s 25,000 full-time residents refused the evacuation order or waited too long to leave. Everyone worried about these people. Fraser kept busy by configuring a map-based data collection application on his phone, downloading map data, and testing the collection of what and where details in order to be ready to assess the damage everyone anticipated from Hurricane Irma. By mid-day on Monday (Sept. 11), the winds had died down enough for a handful of staff to get out and look around. Every single street in the city was blocked by downed trees. Crews had to zigzag around the trees, utility poles that tipped across streets with dangling electrical wires, traffic lights that hung at eye level, and debris of various size and sharpness that was strewn about. Many of the lowest areas were flooded, with as much as 18 inches of storm surge and rainfall turning roads into rivers. The island residents who chose to remain had no power, no water, no internet or cellphone service, no gasoline, and very little food. By all accounts, Key West dodged the horrendous damages that everyone feared. The wind was bad, but flooding fell far short of the forecast. Now, it was time for city employees to get to work putting everything back together. The city puts an emphasis on quick recovery, because it relies heavily on visitor dollars with more than half its citizens making a living in the tourism trade. The new mobile data collection app was quickly put to use to conduct a rapid windshield survey. This preliminary damage assessment establishes benchmarks for degree of damage and insurance coverage, and is required by the Federal Emergency Management Agency (FEMA) to determine whether a federal disaster declaration is warranted. 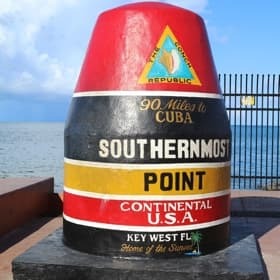 Without internet access, Fraser was thankful that he’d downloaded data beforehand that allowed him to immediately begin to collect data even without any connectivity in Key West. When there’s a hurricane warning, and you’re told to evacuate, listen to that warning and go. The storm is not so much the problem, it’s living without all the modern-day conveniences. It can get drastic in a hurry. Before much data was collected, Key West received word from FEMA that they had enough detail, and that the president would be declaring a major disaster for the city. A federal declaration means that federal funds for disaster response and recovery work are made available to the municipality and individuals. The city gains funds for debris removal, emergency protective measures, as well as funds to repair roads, bridges, water control facilities, buildings, equipment, utilities, and parks and recreation facilities. Much of the work happens immediately by city crews to expedite the city’s recovery, with details on the work and cost submitted later to FEMA for reimbursement. Fraser kept the crews collecting, and expanded the scope based on his success working with FEMA in the past. 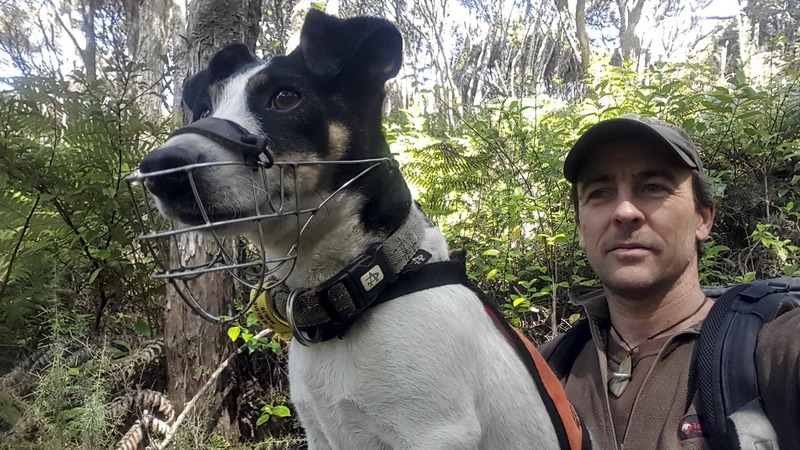 His full-time job revolves around flood management. He uses geographic information system (GIS) technology to help increase the city’s disaster resilience. Using GIS, he assesses their flood vulnerability and determines the steps the city should take to mitigate these vulnerabilities and minimize potential damage from flooding. 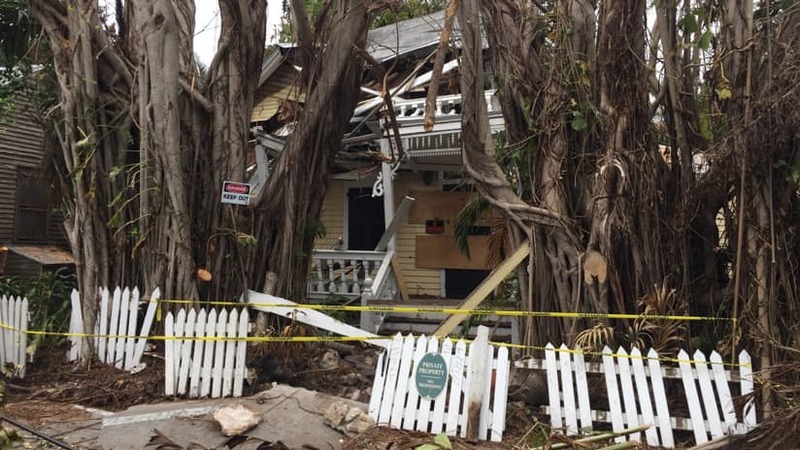 With flood insurance rates constantly on the rise, Key West has sought discounts using FEMA’s Community Rating System to document the measures the city has taken to become more flood resilient. FEMA awards points for different measures, and the points translate to discounts on insurance premiums. With a concentrated effort, the city has secured a 15 percent reduction on flood insurance premiums for both the city and its citizens. As part of their daily GIS activities, the city recently mapped the building footprints for each of its 11,000 buildings. This data supplemented the city’s other datasets to provide a very detailed view that was used to record damage caused by the storm. The home at 618 William Street was a total loss. The handheld app allowed the crews to document the details of the damage along with photos. Most of the damage that crews encountered was caused by wind. At the height of the data collection effort, there were twelve teams collecting data on the Damage Map. Each had Collector for ArcGIS on their phone or tablet, which allowed them to drop a pin on a map, detail the damage, and add photos. When communications and power were down, this data was collected offline in the field and synced at the end of each day back in the office where limited communications were available. 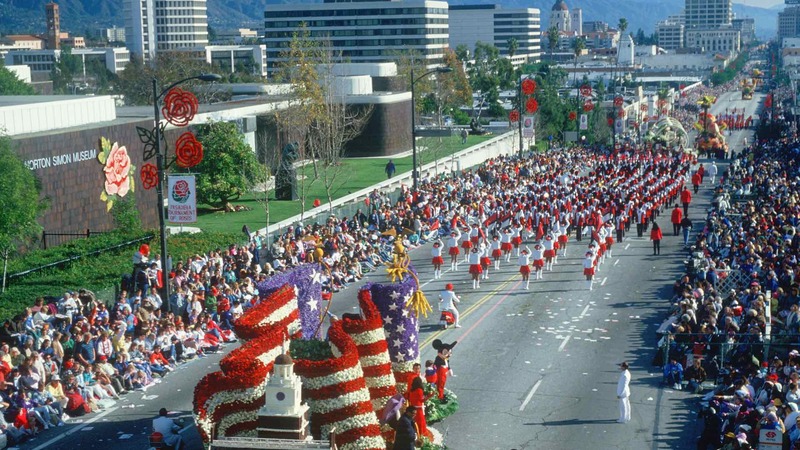 When communications were restored, the data being collected in the field fed a live Operations Dashboard that provided city managers a running tally of damage as well as a real-time view of the progress of the data collection teams. With multiple teams in the field collecting hundreds of data points, the need for mobile GIS was even more critical for the City. Engineering, Code Compliance, and Parking Enforcement departments all worked to determine the damage with more than 25 people assigned to separate grids. Several specialized teams were formed to address specific problems. Signs—A total of 591 street signs were lost during the storm. During the initial pass, crews detailed where signs were missing. A special team from the Engineering department prioritized stop signs to avoid accidents when residents came back. They dropped stop signs in buckets at first, going back for more permanent fixes when they had the time. Structural Damage—All teams noted where buildings were damaged. Code Compliance crews made a second more detailed and methodical pass, plotting the different types and extent of damage in each area. Sidewalk damage—Damage to sidewalks was correlated to the 10,000 downed trees littering the city’s streets. Where roots and limbs impacted the sidewalk were documented with photos for proof that the storm caused the damage. Water Leaks—The most visible water leaks were noted and then addressed by Engineering. When the water was turned back on the city quickly understood that they had a larger problem they couldn’t see. The damage assessment map was a great help in documenting and prioritizing all the repair work. It was also available online for the public and used extensively by evacuees who hadn’t yet been able to return, and by the American Red Cross to identify emergency relief needs. Many boats were heavily damaged in the storm. The debris map documented the location and extent of the debris, including damaged boats. A couple weeks into the recovery, one contractor responsible for debris removal was eager to wrap up and move to other areas where there was money to be made. The city looked good along the major thoroughfares, but the true status required a close inspection of all the side streets. Thankfully, the city had created a Debris Assessment map, and the Code Compliance team had completed a debris assessment pass of the entire city just as the debris contractor said they were done. The map gave the debris hauler all the locations and categories of debris left, and it provided the city with the means to make sure all the debris was hauled before the contractor left. The city is in the process of submitting several million dollars of debris removal expenses to FEMA. The typical audit involves a spot check of work order tickets. 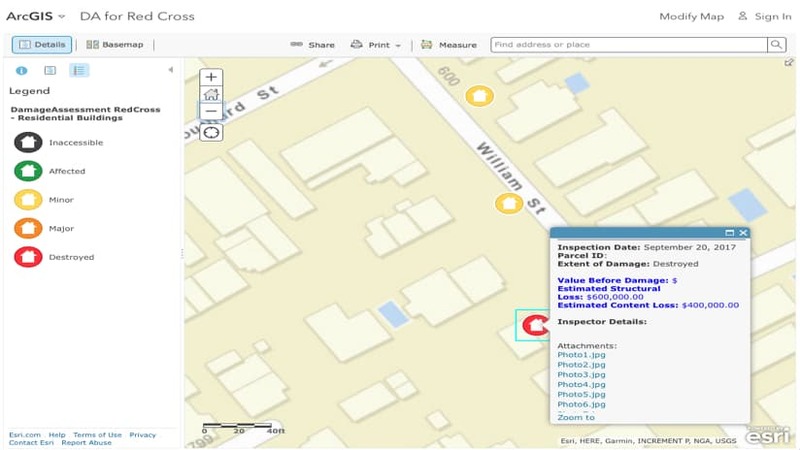 Because the city had a person monitoring and recording what was happening with every debris truck, and putting it into the GIS, they have a comprehensive audit trail to present to FEMA. Sunken and beached vessels were an element of debris that required special handling. There were dozens of boats on the shoreline, several sunken house boats in the marina, and sunken boats blocking access to the fuel docks. Mapping the location of each vessel helped the city understand the scope of the problem and where resources were needed. 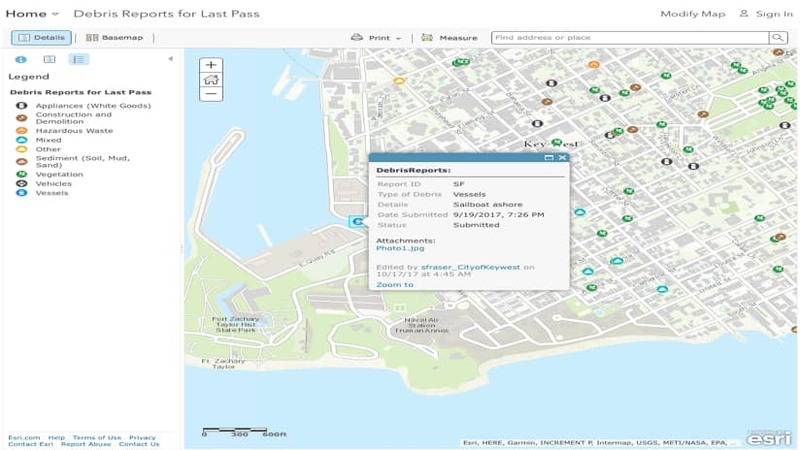 Prior to Hurricane Irma, Key West had only dabbled with data collection apps, using it for a few one-person data collection efforts. 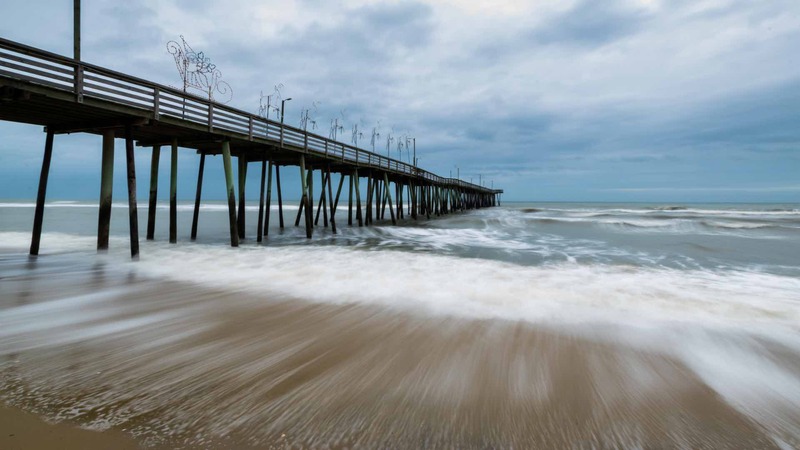 Given the scale, scope, and utility of the hurricane damage and debris data collection efforts, the city is now looking at apps to help improve field processes and workflows. Those that lived in the app for weeks after the storm are driving this demand. In the future, Key West hopes to add a crowdsource component to gather information from those that stay through storms. With limited city resources, working to understand where they are most needed is vital. The city envisions working with their citizens to help with this immediate prioritization after a storm. Esri’s Disaster Response Program provides software, data coordination, technical support, and other GIS assistance. Learn more about the Disaster Response Program or contact us in times of emergency. Daily syncing of maps and apps allowed for data download and upload of any modifications. Remember not to make any changes while people are in the field collecting data as it can cut them off and doesn’t allow them to sync. Alternative power supplies, including in-car phone chargers, should be standard items in the emergency response kit. Given reliance on the internet, it’s hard to prepare for offline work. It’s important to explore the implications, and test workflows to know you can collect and keep on working when communications are down. 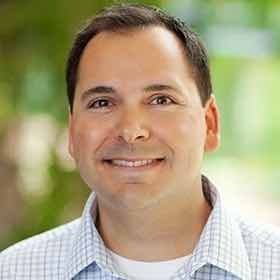 Journalists sponsored the ‘Catch the King’ crowdsourcing event that rallied citizens to capture sea level rise data using an app on their phones. 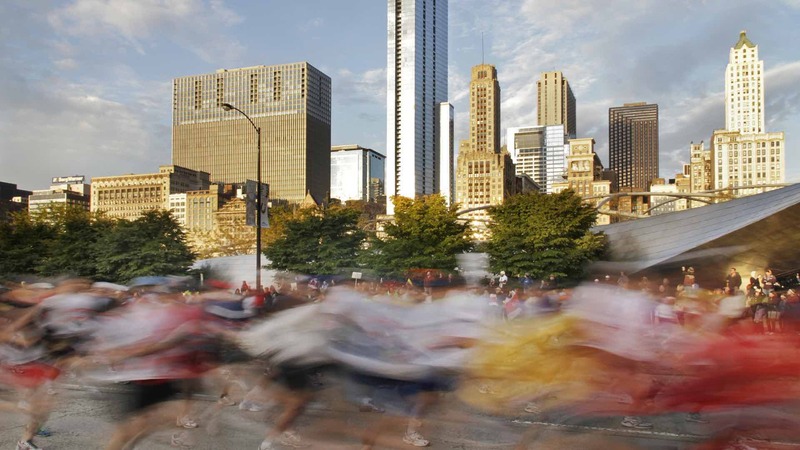 Connecting Chicago’s Emergency Operations Center to real-time runner locations on the course helps the Chicago Marathon run smoothly.